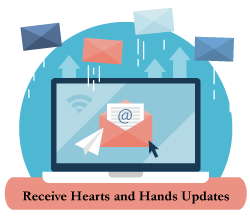 Hearts and Hands is in need of your support! A gift of $5 underwrites two trips to Physical Therapy in Akron for an individual recovering from knee surgery. A gift of $8 underwrites a trip to the grocery store so proper nutrition can keep our elderly neighbors healthy. A gift of $16 underwrites one trip to Roswell Park Memorial Hospital for chemotherapy. A gift of $20 underwrites a month's worth of trips for medication level blood work. A gift of $80 underwrites four trips to Orchard Park for Occupational Therapy for an individual with Multiple Sclerosis.